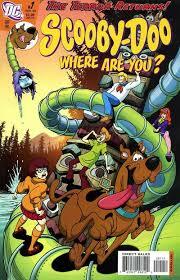 The all New Scooby Doo Where are you comic book series is now out!!!!!! It is out and in Stores! I found 2 of them at Borders, but only one @ ToysRus!!! So I wonder why???????? ?